A new study has uncovered 17 genetic variations that are linked to depression at 15 genomic loci. Customers of 23andMe, a genetic testing service, contributed their data to a large-scale study of depression, allowing the study to succeed where earlier, smaller, and more conventional studies failed. The new study has not only demonstrated the value of crowdsourced data, it has also established that depression is a brain disease with its own biology. In the Nature Genetics article, Dr. Perlis and colleagues (including colleagues from industry) described how they adopted a strategy of studying much larger samples than had been used in earlier studies, which had been conventional genome-wide association studies. This strategy, they noted, was designed to increase the odds of detecting weak genetic signals. The conventional genome-wide approaches had failed to reliably identify chromosomal sites associated with the illness in populations with European roots. Since depression is thought to be like fever—a common set of symptoms likely rooted in multiple causes—lumping together genetic data from people with different underlying illness processes likely washed out, or statistically diluted, subtle evidence of effects caused by risk genes. “We used self-report data from 75,607 individuals reporting clinical diagnosis of depression and 231,747 individuals reporting no history of depression through 23andMe and carried out meta-analysis of these results with published MDD genome-wide association study results,” wrote the authors of the Nature Genetics article. They added that particularly significant genetic loci identified in the meta-analysis were further analyzed in a replication data set consisting of 45,773 cases and 106,354 controls from 23andMe. While it is well known that depression can run in families, most previous genetic studies have been unable to identify variants influencing the risk for depression. One study did find two genomic regions that may contribute to disease risk in Chinese women, but those variants are extremely rare in other ethnic groups. 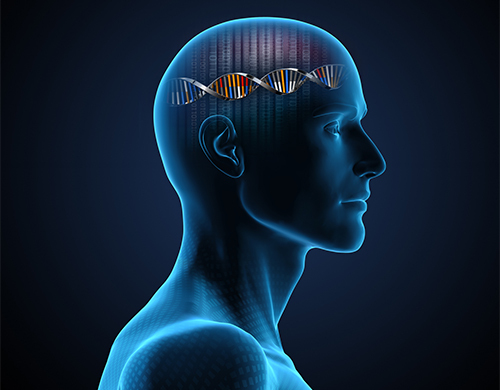 Dr. Perlis and his colleagues note that the many different forms in which depression appears and affects patients imply that, as with other psychiatric disorders, it is probably influenced by many genes with subtle effects. The researchers acknowledge that the genome sites identified still account for only a fraction of the risk for depression, but add that their results support the strategy of complementing more traditional methods with crowd-sourced data. They also speculate that their results could help guide efforts toward improved treatments for depression.